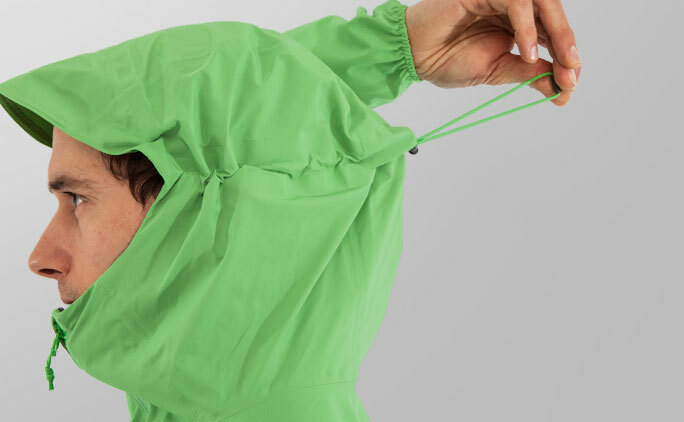 The inov-8 STORMSHELL men's running jacket is designed for lightweight racing and intense training runs in wet conditions, this hooded waterproof running jacket now boasts a super-soft Pertex Shield fabric for increased comfort and a full length zip that makes it quicker to put on/take off. 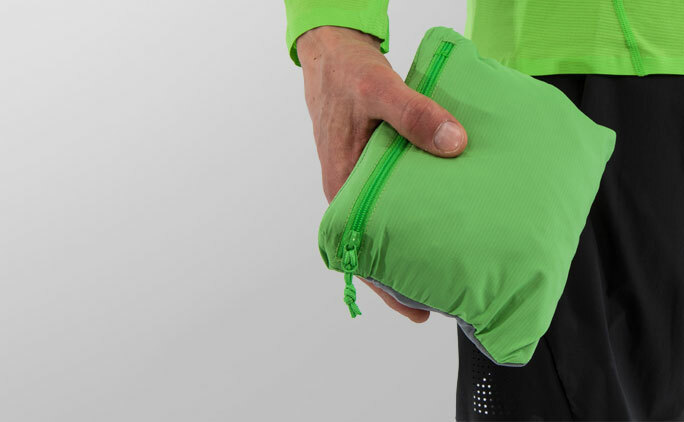 It packs away small into its own pocket, making it easy and lightweight to carry. 20,000 HH and taped seams keeps you dry and protected in heavy rain. 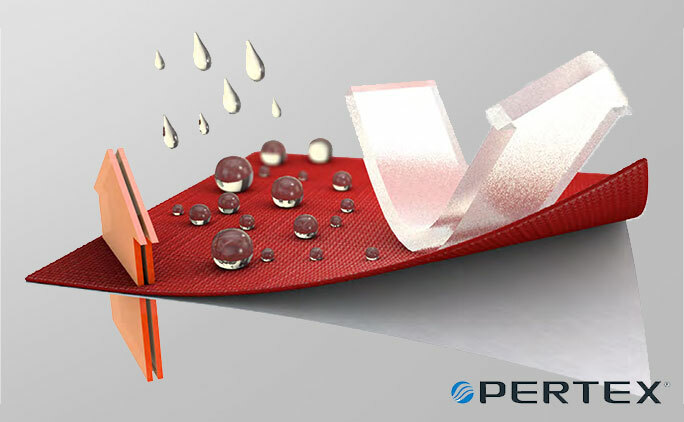 the Pertex Shield, 2.5-layer waterproof fabric with 20,000 HH and 20,000 B-1 breathability with taped seams. Boasts a breathability level of 20,000 B-1 meaning sweat moves through the shell, resulting in temperature regulation and comfort when moving mast. Full length zip opening with YKK Aquaguard zip and internal stormflap and YKK Aquaguard chest zip pocket with fully taped seams. Perfect on those fresh mornings. Breathable and lightweight happy runners around! I was giggling like a little kid with a box of Lego and a sugar high when Ben pulled out an overflowing box of Maverick Trail Division branded Inov-8 kit, all with my name on it. At this particular time, a few of us from the team had gathered out in Surrey on a very grey and damp January morning, to catch up, get our hands on the new kit, and possibly go for a run. The two bits of kit I was most excited about, and most wary of were the waterproof items. The ATC Stormshell, and the Racepants. My trepidation with running waterproofs comes from the simple fact that lightweight running waterproofs are rarely any good. Most of the super lightweight ones lack any real waterproofing, and a full-on hiking style coat isn’t practical for trail racing. The holy grail is elusive, and the only one I’ve found that comes close is a monstrously expensive GoreTex jacket. And as for the race pants, well I’ve just never really got my head around running in trousers, leggings fine, but trousers…. never quite worked for me. The Jacket itself is a rather fetching green, and rustic cross between lime green and forest green, bright yet inoffensive, a good start. The weight is extremely light, a claimed 175g for a size M. I can’t confirm this, but is barely noticeable when on. The biggest plus I found though was the softness of the material. Often running in waterproofs, with the zip done all the way up, I find them quite stiff, and can chafe a bit under the chin and around the neck. Here Inov-8 seem to have found a good balance with the jackets material being quite soft, and extremely comfortable. The waterproofing of the jacket is also up there with the best. While not quite in the same ball park as the top end GoreTex offerings, it is certainly among the best I’ve tried, and water ingress only becomes a issue in long (90 min +) runs in heavy rain. The biggest perk of the top is its breathability though, and for this, I haven’t had a better top. Doing hour tempo sessions in the jacket has been absolutely fine, and despite keeping the wind and rain out, the Stormshell does a impeccable job of letting sweat out, and not acting as a sort of boil in the bag top. As for the trousers, well I ‘ve been converted. Running in the race pants is literally the best thing since beer. For winter training, I have been amazed at how quickly the trousers have become my go to item. They keep wind, water and dirt off my beautiful legs, and keep you so warm. I never realised how pleasant having warm legs was while running! The stretchy material feels a little off-putting when you first get them, but once they are on, the feel on skin is rather pleasant. They do an excellent job on the breathability front too. I can’t say I’d recommend them for speed work, but longer slower runs, or trail racing, they are pretty much perfect! So far both bits of kit have held up admirably, facing down the Beast from the East, and shrugging off the worst of the British winter. Of the 700 miles I’ve run since Christmas, only about 20 have been on a treadmill, which is surely the best testament to the quality of the new inov-8 gear! Being tested in some Cold, Damp weather even if it does look sunny in this shot! Team Green Marching up hill..